As a Logan Utah Wedding photographer, I love working with all the different local vendors! There are so many fantastic wedding talents in Cache Valley! I'm often amazed at their skills. It's even cooler to be able to be a part of those weddings and to get beautiful pictures for those other vendors. The Riter Mansion, in Logan, Utah has a unique character and charm that you won't find many other places in the area. The owners took an older home and managed to keep the vintage charm, but yet update it with modern details. One of the things I love about the venue is that they also have experienced planners and decorators on hand to make the day go smoothly and look stunning! Dahlia Event Planning creates many of the weddings at Riter Mansion. 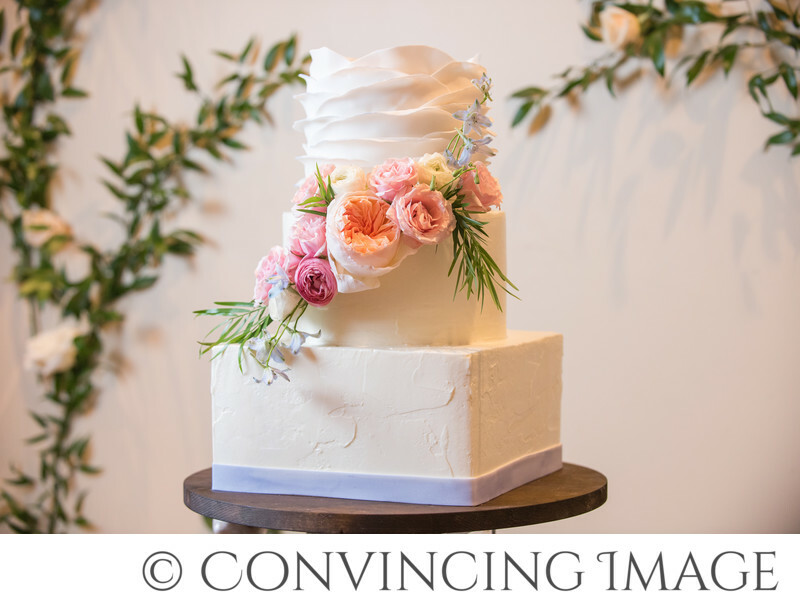 One thing I loved about this wedding was the rose and green vines climbing up the wall behind the wedding cake. It was so beautiful! I've encouraged brides since then to have Dahlia customize their cake display. There are so many options for weddings! I highly recommend a planner and Dahlia is one of the very best in Cache Valley. They can help you decide on a style that fits you and use your resources to make it beautiful! Location: Riter Mansion, Logan, Utah.